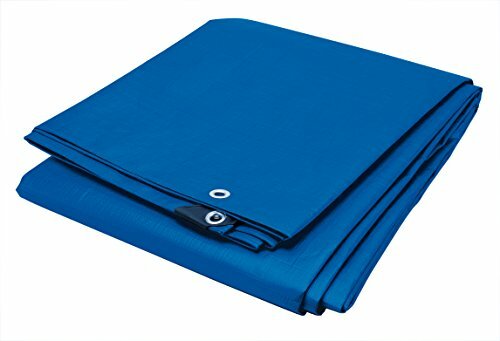 The Performance Tool Blue multi-purpose tarp is a durable and flexible solution to all of your covering needs. This double waterproof surface tarp, is great to use as ground cover or as a base for your camping tent or used as an overhead cover. It has rope sewn in along edges for added strength, mildew-resistant materials to provide extended durability and the ability to securely tie it down. Measuring in at 12' x 16' (Actual finished size: 11'6" x 15'6"Bottom of Form)Bottom of Form, this tarp allows to cover a great amount of floor area and large objects. Other uses included using is as a makeshift shelter, covering a boat, keeping firewood dry, and providing shade. Actual finished size: 11'6" x 15'6"